I don’t know about you but I just love fresh grown vegetables, the fresher, the better. In my quest for the perfect pea, I realized the only decent peas were the ones you picked! My grandmother lived on a farm and we ate the very best, very freshest food whenever we visited, from the milk that came out of the cow that morning to the peas that were picked before dinner (and dinner was always at noon!). As a kid, I certainly didn’t appreciate it the way I should have. But one day, I brought a city friend with me to visit Grandma. The meal was the usual simple fare of roasted capon (those are the best birds! ), new potatoes, peas and biscuits. Well, my friend, who told me later she didn’t like peas, went nuts! She wanted to know what kind of peas those were?? How did Grandma cook them (barely, in salted water)?? Did she put sugar on them (NO)? That’s the day I remember when I really sat up and appreciated the gift my Grandma had given me. I was someone who knew real fresh, local food. And that’s why I grew my own little garden when Robin and Sam were growing up and why I do it today, because I want to eat that kind of food. Today’s recipe was texted to me from Sam’s friend. He sent a beautiful picture and raved about how good it was, and easy to prepare. 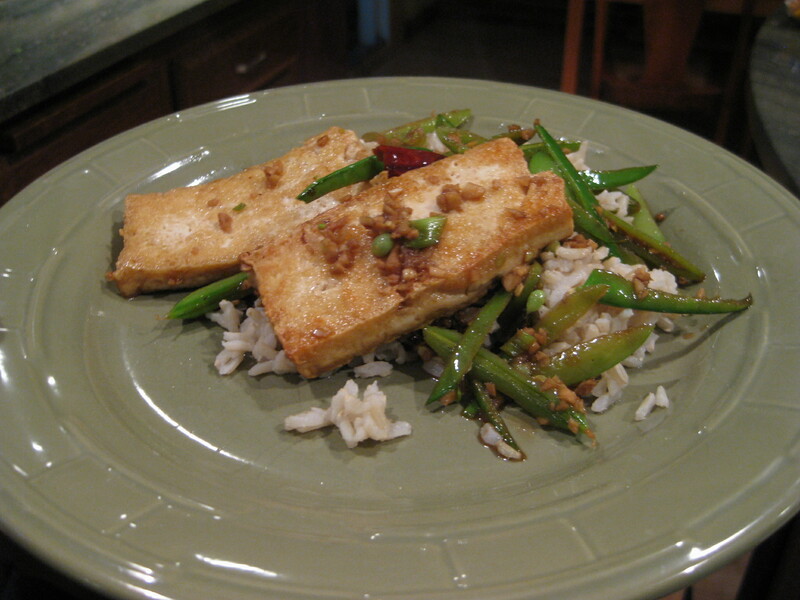 You can find the recipe here, it’s called Seared Tofu with Sugar Snap Peas. 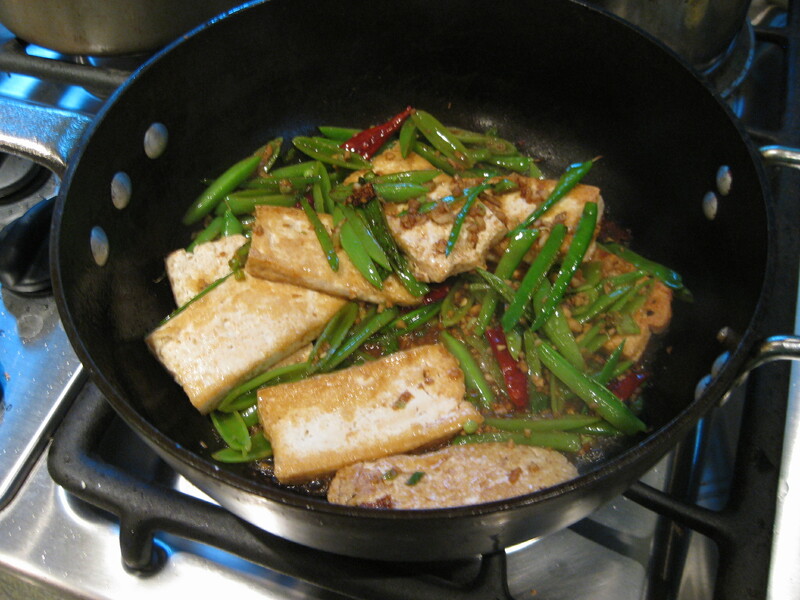 First, I want to point out that I actually followed the directions for pressing and searing the tofu! This was the first time ever that my tofu came out crispy. So, I recommend it, if you want crispy tofu. 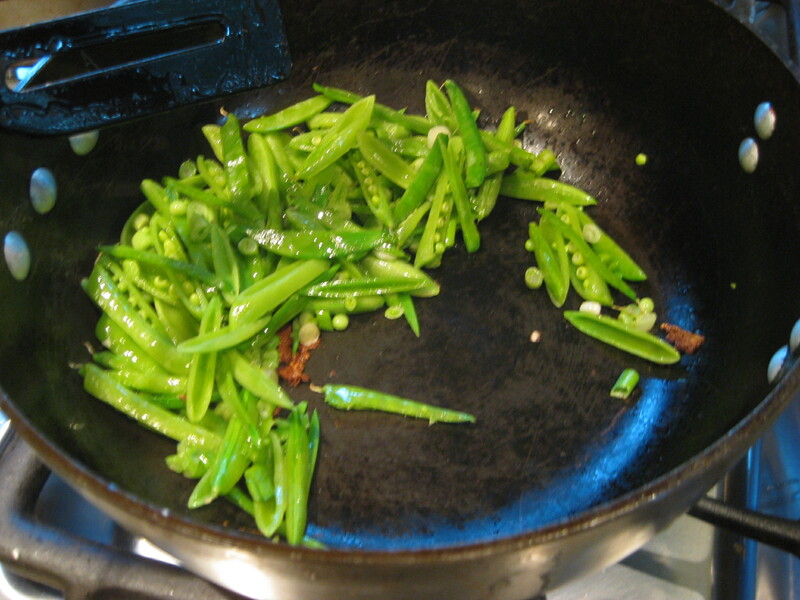 If you don’t care, then just plop it in the pan with the oil. It will be hot, but softer. Ok, I lied. I didn’t exactly follow the directions… I didn’t use anything to absorb the pressed out liquid. 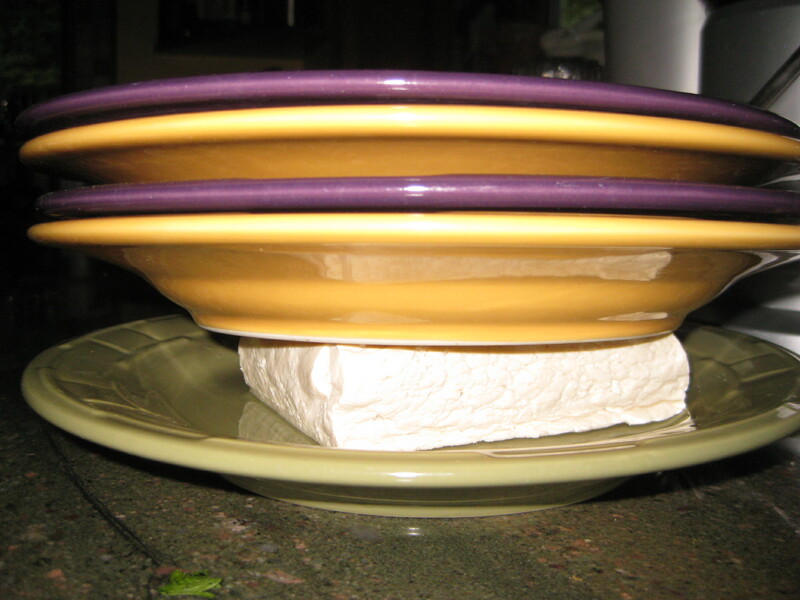 I just poured off the liquid a couple of times while holding the tofu on the plate. Less to clean up afterwards! The rest of this was indeed quick and easy! 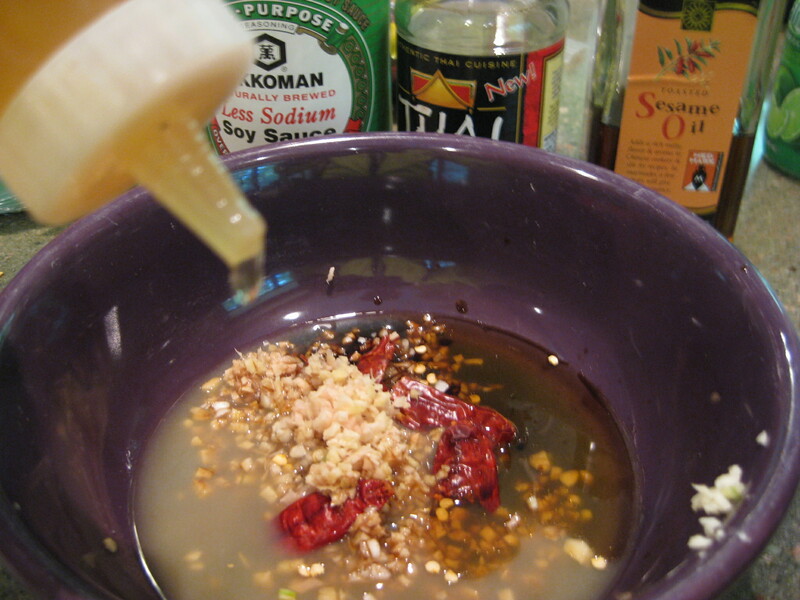 And another thing… I didn’t have jalepenos, so I used dried chili peppers. And I present, the finished product!